Pancit Bihon and Atis ~ I Can Do That! We had an authentic Filipino Pinoy dinner tonight: rice noodles and the fruit atis for dessert. These are thin rice sticks sauteed with garlic and onions, soy sauce, boiled pork, carrots, snow peas, and shredded cabbage. It is eaten with calamansi juice (tiny Filipino limes). 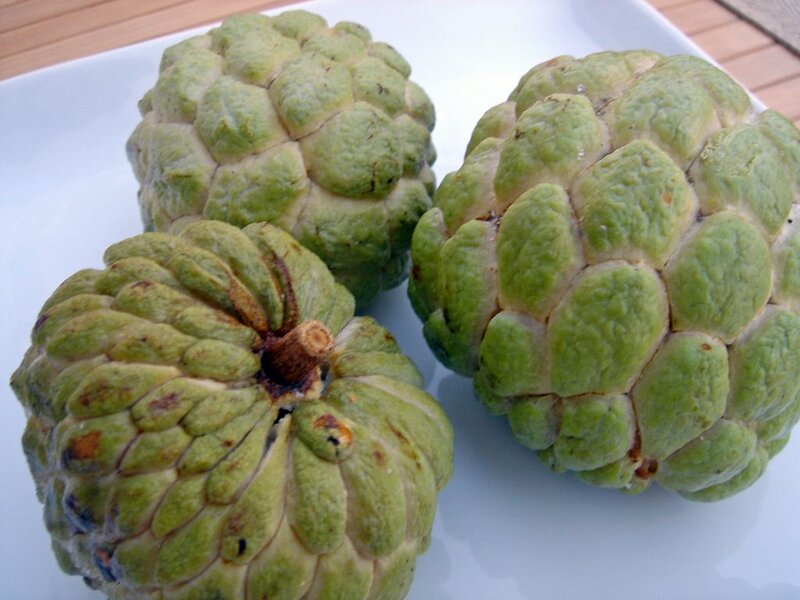 I found frozen atis, a relative of cherimoya, at the Korean grocery. The consistency of the fruit is altered as expected but tastes the same nonetheless. Fresh is of course the best but I haven't had these in over 15 years, I couldn't resist buying them. I'll make ice cream using 2 of these fruits, yum.